While the 12 steps program is one of the most popular and successful treatments for alcoholism, this isn’t the only option. Most alcoholics are now turning to holistic alcohol rehab as an alternative to traditional techniques. A holistic approach to alcoholism addresses the condition from a whole-person perspective. Instead of a one-size-fits-all approach, holistic alcohol rehab centers look at the specific needs and personality of a patient. They use a mixture of techniques, aiming to bring the body, mind, and spirit into alignment. What are the benefits of holistic alcohol treatments? What are the types of holistic alcohol treatments? How to choose holistic alcohol rehab? 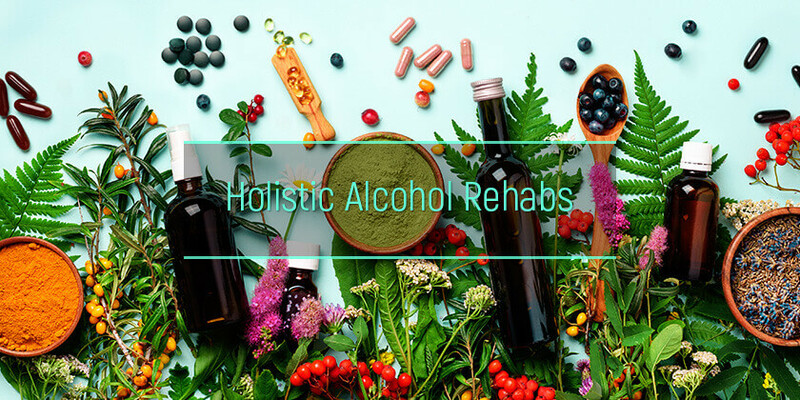 Holistic alcohol treatment centers’ focus is placed on the overall countenance of a patient instead of just treating the many symptoms of alcohol abuse or addiction. To be able to heal the body successfully, one must focus on healing the energy centers and the soul of the patient. Holistic therapies are based on the concept that a person’s mind, body, and spirit are all connected. Even lgbtq alcohol treatment includes some holistic approaches. For one to have better health, he or she must be at peace with his or her spirit. Traditional recovery programs are focused solely on scientific approaches to care and treatment. Residents are expected to join the group and individual therapy sessions. In a holistic approach, residents are given a chance to experience a more relaxed environment as they focus more on self-discovery and understand the interconnectedness of themselves and their environment. Traditional programs may prescribe drugs to relieve cravings and symptoms. A holistic approach, on the other hand, focuses more on detoxing the system naturally with alternative processes like herbal remedies. The holistic cure for alcoholism involves activities like massage, acupuncture, and exercises. These techniques rely on pressure points that can help relieve stress and reduce physical pain, which may occur with alcohol withdrawal. During detox, all traces of alcohol and other toxins will be eliminated from the body. Along with nutritional therapy, this can really help a patient keep a healthy body. Achieving a state of balance and harmony is possible with holistic treatment for alcoholism. 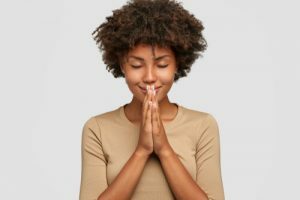 Through activities like meditation, yoga, and other relaxation techniques, patients in recovery from alcohol addiction can better cope with stress and focus more on fostering well-being. Holistic alcohol healing is not just good for the body and mind. It also allows to strengthen and help one’s soul. Practices like meditation and yoga connect a patient to his or her inner self. There’s an opportunity to clear out troubling issues, reflect, and heal. Most would spend time uttering even just a short prayer. The list of holistic alcohol treatment programs and activities continues to expand over time. Some of the more widespread ones in current use are listed below, but not all holistic alcohol treatment centers offer them all. Most fall under the category known as complementary and alternative medicine (CAM) therapies. 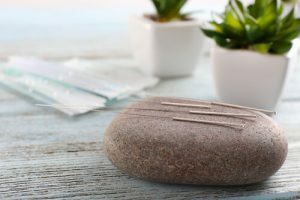 Common examples are imagery, acupuncture, massage, relaxation techniques, and yoga. One will surely find an alcohol addiction treatment center that offers nutritional therapy because just as getting a good night sleep is important to healing, so is eating healthy. This program can help replenish the body’s nutrients that may have been decreased through excessive alcohol intake. Alcohol can dehydrate the body and only serves empty calories. A good nutrition plan that gives balanced meals at structured times can help restore a patient’s body. Physical fitness is an important component of holistic alcoholism treatment. This can help achieve a stronger body, uplift self-esteem, and provide an outlet for stress. Exercise can also help minimize relapse. There are several kinds of exercises and programs can be tailored to suit every patient’s physical abilities and circumstances. Physical exercise is a safe and feasible holistic treatment option that may help reduce heavy drinking and improve comorbid health problems. While not yet commonly accepted as a holistic treatment for alcohol abuse, NF is known to decrease cravings for illegal substances and improve general mental health. By using brain maps, this technique can help patients come up with new and improve thought processes. It can help people spot triggers and teach them how to cope with and manage these in the future to prevent relapse. According to a study conducted in 2017, Neurofeedback can be a promising supplementary tool for addiction therapy and is practicable even in community settings. This type of holistic medicine for alcoholism can help people center themselves and gain a sense of inner peace and focus. With meditation, people are tuning with their physical bodies to be able to control their emotions and enhance spiritual growth. It is effective in battling stress, temptations to abuse alcohol, and anxiety. This can be done anywhere at any time, hence a perfect form of outpatient alcohol treatment. It is a handy tool for recovery. Creative expression is one of the most exciting and healthy holistic alcohol treatment programs. It is the perfect outlet for alcoholics to express their feelings and better understand themselves and their emotions. It can likewise relieve stress and boost confidence. There are several kinds of imagery or art therapy that are helpful in treating alcohol addiction. One may choose to try image exposure therapy, guided visualization, virtual reality therapy, or imagery rescripting. A therapist may use any of these activities as a holistic alcohol withdrawal treatment. They are proven to be effective in managing withdrawal symptoms, anxiety, insomnia, and cravings, to help correct behaviors that have led to alcohol abuse in the first place. While the use of art therapy is relatively uncommon, it’s use was also associated with other treatment modalities. In fact, the 12-step approach was associated with art and music. Art therapy can be used as an adjunct to other psychosocial treatments, which can help improve patient outcomes by offering more robust holistic treatment options. Massage can treat physical pain and tension, making it a perfect aid in reducing stress. It promotes relaxation and improves sleep patterns. When a patient feels better physically and gets quality sleep, he or she is more likely to be better in managing emotional strain and addiction as well. Massage therapy can also be used as a holistic treatment for alcohol withdrawal. Results showed a reduced alcohol withdrawal scale score during the early stages of the detox process. This is a very popular Eastern medicine technique that strives to improve an individual’s energy flow by putting needles along strategic pressure points in the body. This is said to improve the manner by which the body functions. It can help alleviate emotional distress. It is likewise done to help eliminate toxins from the body by improving blood flow. It is, therefore, a good adjunct therapy for alcohol addiction treatment. Reiki therapy originated in Japan. It is also a method of relaxation and stress reduction that can help promote healing. Administered by an expert, this holistic therapy includes laying hands on or above an individual to transfer the flow of life force energy and prompt a healing response. Experts believe that if a person’s life force energy is low, they are more likely to suffer from stress and depression. Because of how people view alcohol addiction, alternative medicine like Reiki can have positive effects on those who believe. Also, claiming to support pregnant women before and after birth, this technique is common in alcohol treatment centers for women. There are several choices when it comes to holistic alcohol rehabilitation. When choosing, one must focus on which kind of treatment they offer, staff credentials, and if they have the license to operate. The types of aftercare programs to prevent relapse are also important. Deciding if you need residential or outpatient rehab or alcohol diet detox will require the help of a medical doctor.